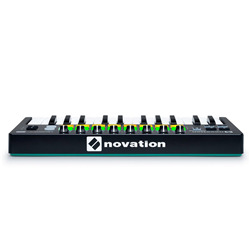 Novation ’ s most compact and portable MIDI keyboard. 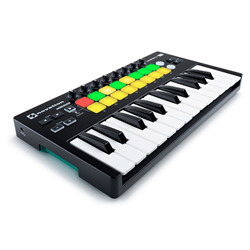 Launchkey Mini is perfect for sketching out ideas in Ableton Live u sing its 25-note mini keyboard. Trigger loops and perform expressive drum beats with 16 velocity-sensitive mu lticoloured pads. Tweak your instruments and effects using the eight knobs. Launchkey Mini wi ll work the moment you plug it into your laptop via USB, or your iPad via Cam era Connection Kit. 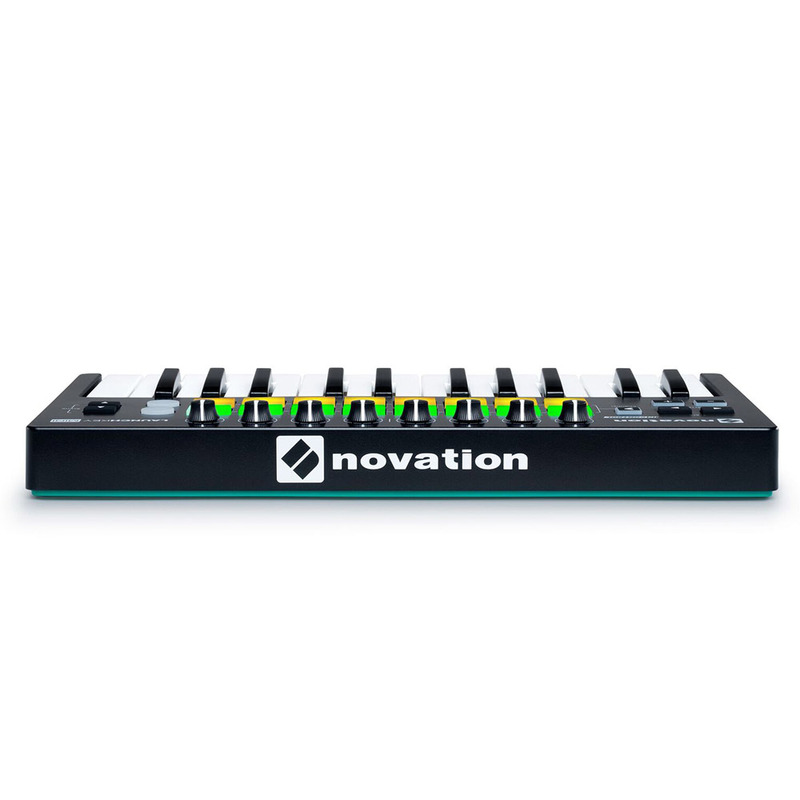 It integrates immediately with Ableton Live or any other major music software, and co mes with everything you need to start making music, including Ableton Live Lite. Create expressive beats: 16 velocity-sensitive multicoloured pads for triggerin g clips and playing drums. Ableton Live Lite 9 is included. 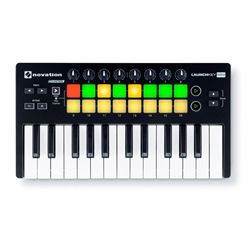 If you already have Ableton Live it must be version 9 or greater to work with Launchkey Mini. 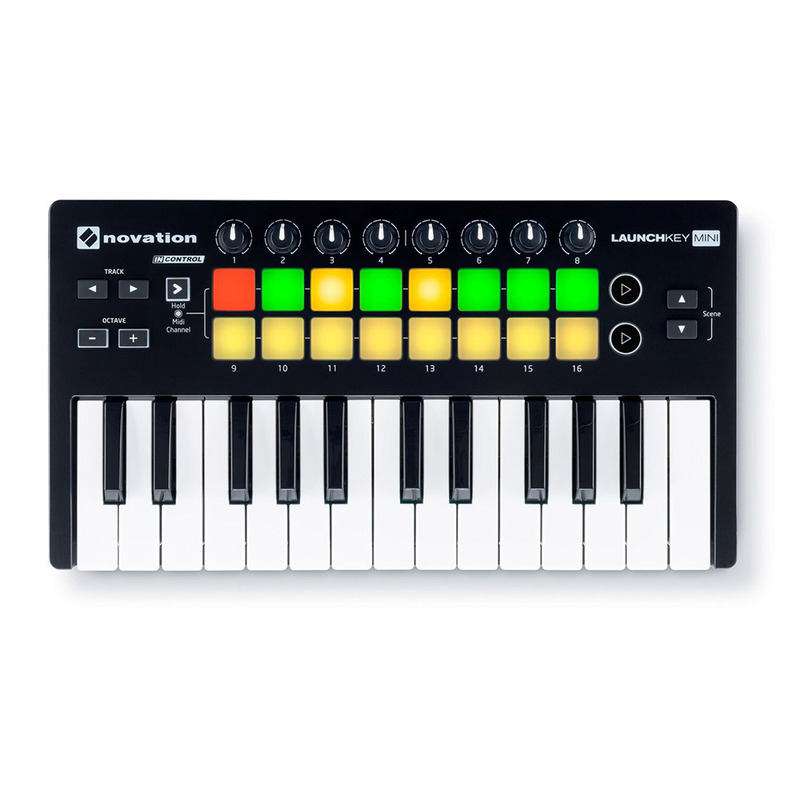 We recommend that you update to the latest version as previous versions of Ableton Live do not include the Launchkey Mini integration for InControl. Launchkey Mini will also work as a standard MIDI controller.